Fiddling ones to build, thanks to the amount of curiously ribbed brown pieces that need slotting between the beige piping. 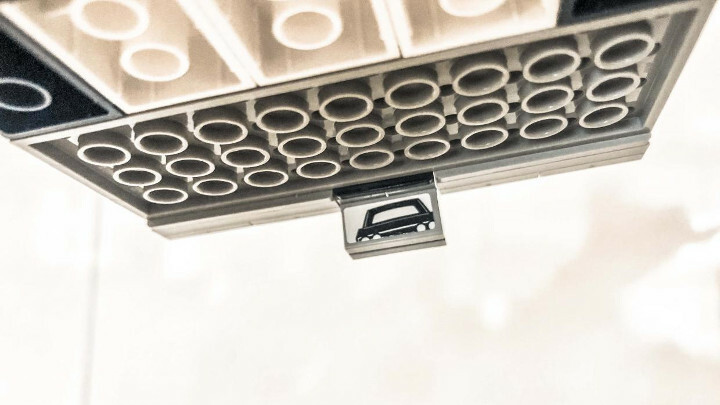 The end result is a classic piece of abstract Lego thinking, turning hard plastic bricks into something that looks comfy enough to lounge in. 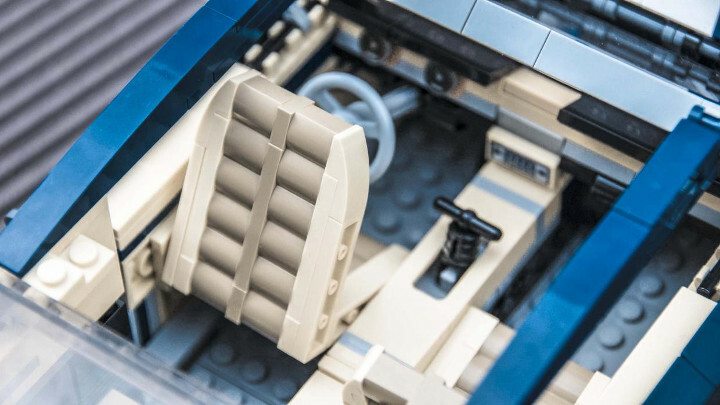 And thanks to hidden hinges underneath, they even tip forward, for rear seat access. Hours of fun. Who needs an Xbox? 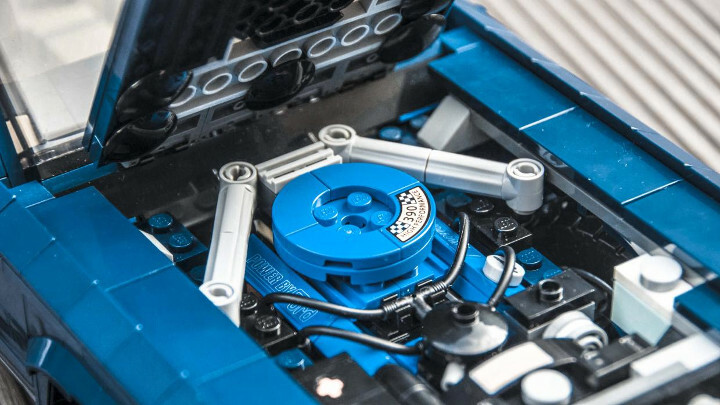 One of several ‘optional extras’ in the kit, the nitrous tank is made of the pieces you use to jack up the wheel-less car earlier on in the build. Snapped together with a pressure gauge on top to finish, it lives in the generous trunk. 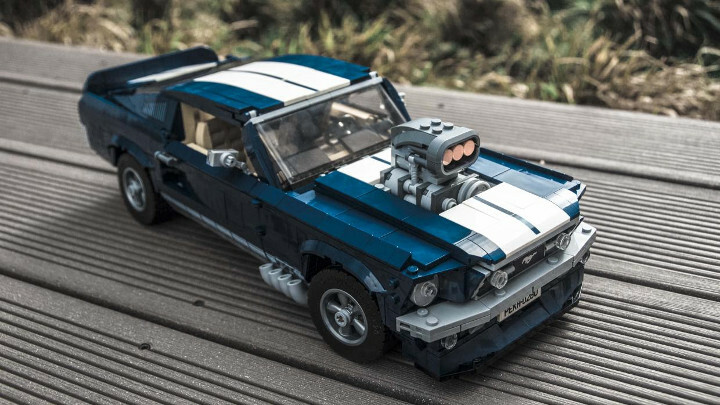 You can also add a supercharger that sprouts from the hood, an adjustable rear wing, and a deeper front air dam, for a Fast & Furious movie-hero look. 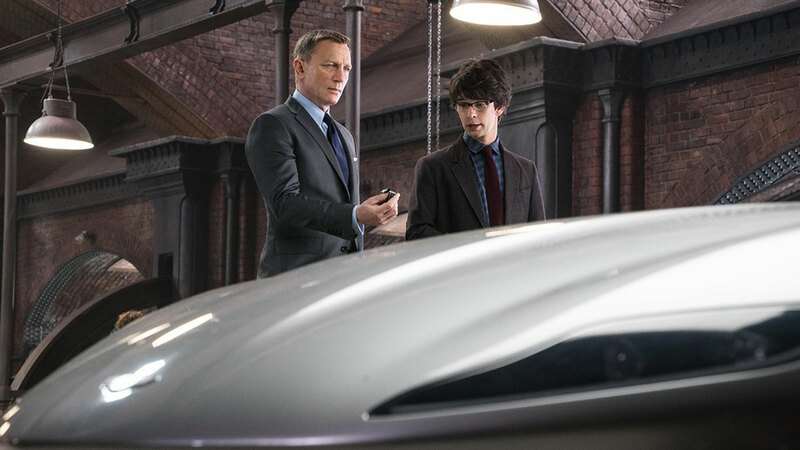 Bit more fiddly than James Bond’s rotating plates, mind, but still worth having. 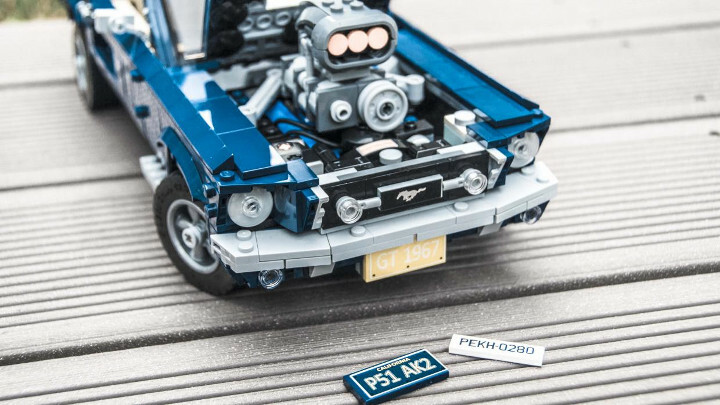 There are British, German, and American-style license plates in the set, and one pair even echoes the ‘plates fitted to one of the Lego team’s chief designers, who owns—you guessed it—an old Mustang. When you’re not using the spares, they fit nicely in the trunk. Practical! Just look at that. 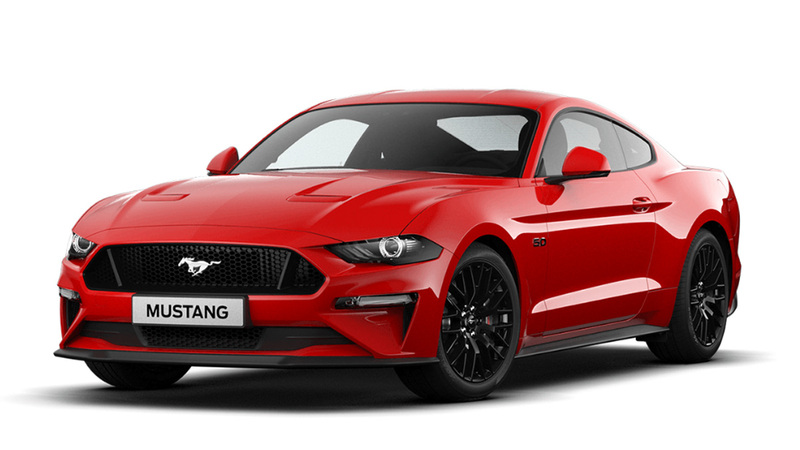 No bespoke ‘engine’ pieces, and yet that couldn’t be anything but mini-V8, could it? This is the ‘standard’ engine that lives below a hood scoop, complete with white racing stripes. 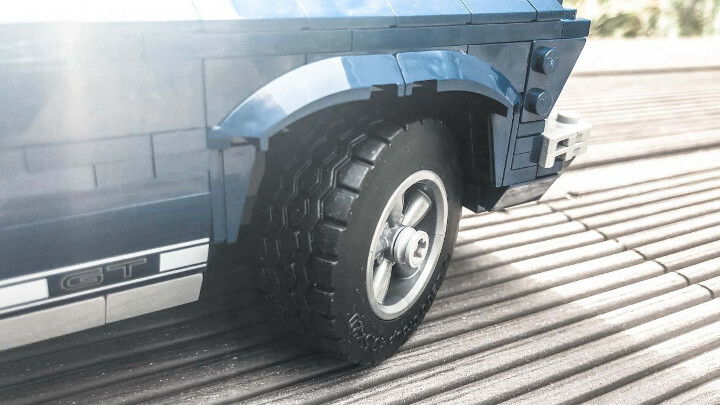 There’s an old pub fact that Lego is the world’s biggest tire maker, with the millions of rubber circles needed for its kits outstripping the production of Pirelli, Michelin, Goodyear, and so on. 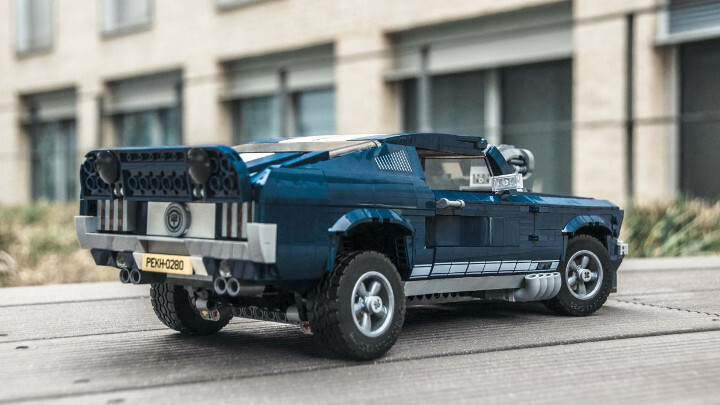 So, Lego could have lobbed any old slicks onto the ’Stang, but we’re delighted they went for a set of high-profile crossply treads, for an even more retro look. 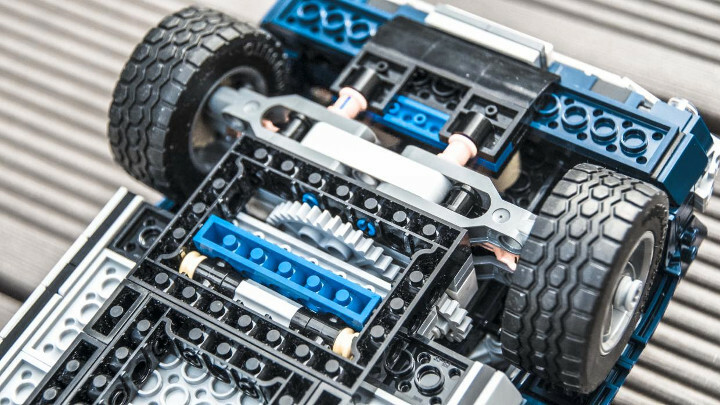 All told, the whole thing’s a lot less stressful to build than the Lego Bugatti Chiron. Cheaper, too. Just like the real thing, then. Right. We’ve finished this one. 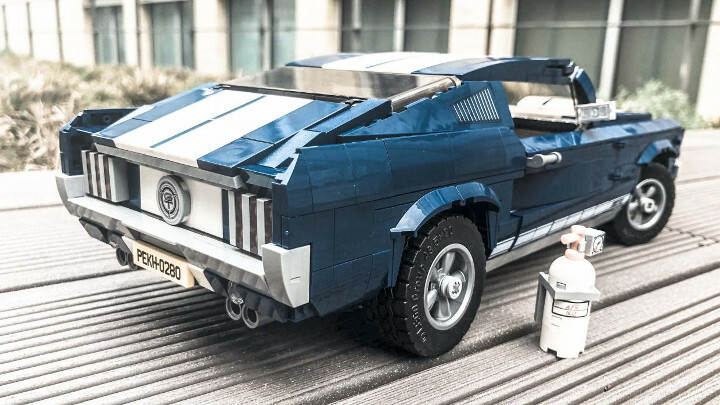 What should Lego model next?